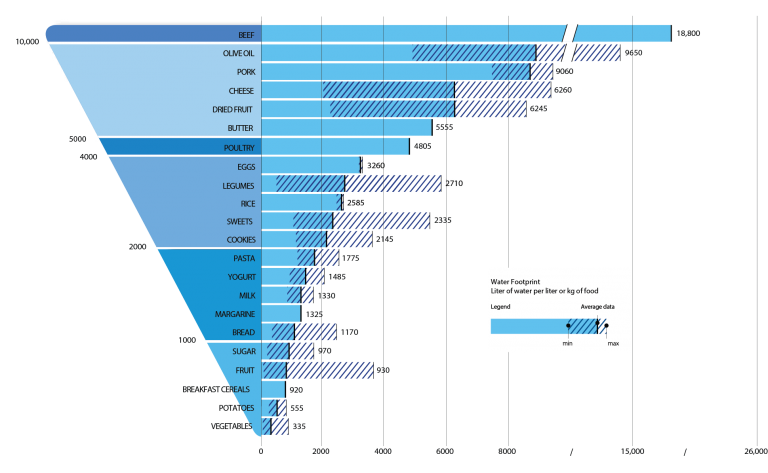 The Water Footprint quantifies the consumption and mode of use of water resources, and is measured in litres of water per kilogram or litre of food. For each group of foods, the reported value is the average of the various sources used, while the hatched lines mark the distance between the minimum and maximum values. When a food is normally cooked, the impact of the cooking was added. The average score determines the order of foods from the top (high impact) to the bottom (low impact).